I arrived in Berlin greeted by the perfect autumn morning. On my way into the city from Tegel Airport I couldn’t help thinking about what a great year I have had in Melbourne, after having performed in a fantastic choreographic work by my mentor Jo Lloyd and presented a successful showing of my new project,Vanishing Point. In the crips cool air and gentle sunlight, spending the last quarter of the year in Berlin seemed full of promises. The first thing to do was to figure out how everything works and where dance happens. Berlin is an incredibly rhizomic city with many arts communities and happenings spread across its geography. I was given a lot of guidance from many Berlin based artists, particularly Martin Nachbar. Within a few days my calendar was completely pencilled in with activities, workshops, classes and performances. On the second day of arrival, I attended a week long workshop of Klein Technique taught by a renowned somatic practitioner and pedagogue Barbara Mahler. I continued to study the technique with her student, a Berlin native Hanna Hegenscheidt daily in her Kreuzberg studio. I would often take a second technique classes at various studios, such as Marameo, Tanz Fabrik or Laborgras. Professional training is so much cheaper in Berlin and it makes me bemoan the cost of living in Australia. I was fortunate enough to have attended a symposium called Capturing Dance at Tanz Fabrik. I have long admired the keynotes speaker on the panel: the legendary Babette Mangolte who documented most of the influential postmodern artists in seventies New York, curator Barbara Clausen and theatre scholar Phillip Auslander. Their works have informed, influenced and underpinned my creative research and processes so significantly that I was starstruck at the symposium. I am a real nerd. One of the highlights so far was to visit choreographer Isabelle Schad in her rehearsals for a new premiere. Her beautiful studio is an oasis located in an old and derelict building, which was partially damaged in the second world war. Art and artists often blossom gloriously and unexpectedly from the fissures. I have begun my rehearsals and research for the next three weeks. I feel lonely without my collaborators but there is so much new information to be taken in and processed. Photo: John and Sian at Ufer Studio. John is the composer for the first choreographic work Shian has made. He now lives in Berlin. Thomas Bradley at ImPulsTanz in Vienna. Thomas Bradley has just returned from his TLF supported study trip to Europe. 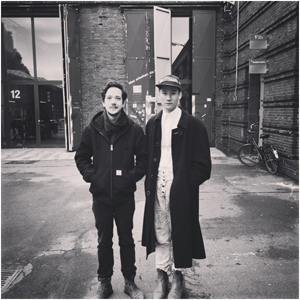 In August, Tom spent one week at the International Dance Festival, ImPulsTanz, participating in workshops with several renowned contemporary dance artists, including Tony Rizzi from the Forsythe Company and Venezuelan dancer/choreographer David Zambrano. Tom also visited Berlin where he was able to see the outcome of Gabrielle’s development at adaStudio, and attend performances at Tanz im August including Marie Chouinard and Tao Dance Theatre. Another stop was Brussels, where Tom participated in workshops conducted by artists of Ultima Vez. It is this city that Tom intends to base himself from 2016. Meeting so many artists from all over Europe during this trip has provided Tom with quite a few contacts and introductions, and we wish him well in his future adventures. Left: Thomas Bradley. Right: Shian Law. 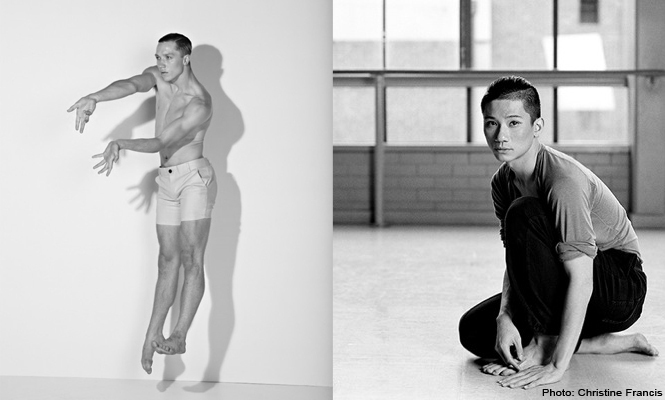 The Tanja Liedtke Foundation is delighted to be supporting dancer/choreographers Thomas Bradley (Sydney) and Shian Law (Melbourne) to accelerate their professional development through international exchange opportunities geared to their respective artistic aims. These special scholarships have been generously supported through the kind donation of one of the Foundation’s donors, Mrs Dr. Christiane Weickart. Along with Thomas Bradley and Shian Law, we would like to express our sincere thanks to Mrs Weickart for her generosity. Thomas Bradley will travel to Europe in August, attending the premier dance event ImPulsTanz in Vienna. 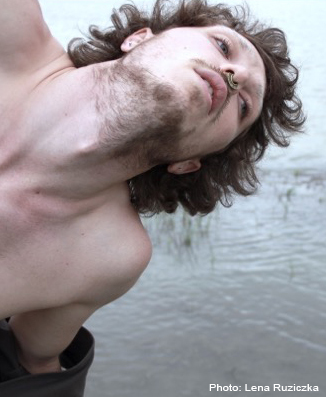 He will also spend time with choreographer Theo Clinkard, as Clinkard develops a new work for the Tanztheater Wuppertal, visit a number of other leading European dance companies and conduct workshops focussing on his own practice. Shian Law will also travel to Europe, spending two weeks at the renowned international film school, Filmakademie Baden-Württemberg in Ludwigsburg. He will also conduct a creative residency in Berlin in collaboration with several local artists focussing on his new performance project, Psycho. This is a very unique opportunity for Shian Law and Thomas Bradley to engage with European artists, and Tanja Liedtke Foundation wishes them all the best for a productive and inspiring experience.